Many people are surprised to find out they qualify for aging veterans’ benefits without having a service-related disability. The VA offers benefits that can be used by a Veteran or their surviving spouse to help with costs for in-home medical care, assisted living facilities and even nursing homes. Yet, these are one of the least known benefits for long-term care. According to the VA, 72% of those eligible don’t end up using these benefits they earned in service to their country. Do I need an attorney to apply for benefits? I was told I could apply on my own with the VA.
You do not have to have an attorney help you plan for VA benefits. However, many families try to apply on their own and then are denied or stuck in bureaucracy for up to 2 years. An elder law attorney accredited with the VA can help families plan ahead BEFORE applying so you can get the maximum benefits and get it as quickly as possible. I was told that it is illegal for an attorney to charge for preparing a VA application. So, how can an attorney help? It is true that the application must be done free of charge. However, BEFORE you file the application, an experienced attorney can help make sure all your ducks are in a row so you will qualify for the maximum benefit. Planning before the application is the key to making sure everything works properly. Do VA benefits cover in-home care benefits? This is one of the greatest things about VA benefits! It can help pay for in-home care–even care provided by a family member other than a spouse. Many people think they can’t afford it and are overjoyed to hear how they can qualify for help at home. Don’t I have too many assets to qualify for aid and attendance benefits? There are asset limits, but also many planning options available. Through legal planning, such as a Veterans Asset Protection Trust, you can rearrange your finances in order to qualify. What are the pitfalls of applying for VA benefits? Sometimes people rearrange their finances to qualify for VA benefits, but later need more care and then need to apply for Medicaid benefits. An experienced elder law attorney can help think ahead to keep your plan flexible if you need more care later. Isn’t it overwhelming to go through the application process? It can be. Some families try it on their own and get denied. Others get caught in the endless bureaucracy. Other families intend to apply, but the process is so daunting that they never proceed, losing months or years of benefits. By working with an accredited VA and elder law attorney, you can plan ahead, make sure you get the benefits quickly, and avoid a lot of stress. When applying for VA benefits and paying for long-term care, there is a lot to consider. 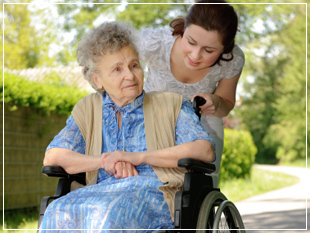 Experienced elder law attorneys work with families facing the challenges of aging everyday. They work to find solutions that will ease the strain and bring financial and emotional relief. If you need to speak with someone right away about your current situation, feel free to call or email Edwards Group LLC. One of our Client Coordinators will be happy to help you by phone at 217-726-9200 or email at info@EdwardsGroupLLC.com. Recently, I (David) was in the airport, waiting on a flight when a fellow passenger opened up and told me his story. After being married for over 50 years, he had recently lost his wife. She was having a routine heart procedure and things went wrong. Suddenly, she was gone, totally unexpected. He said it has really thrown him for a loop. Life is ALL different now. Even his schedule is hard. They always used to go out to eat every Friday night. He does it alone now that she’s gone. They always ran errands on Saturdays and relaxed on Sunday. He still finds himself keeping that same schedule, missing her as he goes along. Even his relationship with his kids has changed. His wife had always been the more talkative one, and the kids tended to talk more with her. Now with Mom gone, they are all having to learn how to talk to each other more and differently. “My kids don’t know what to do with me!” he said. One child had a house with a special space just for Mom to use after Dad died. NO ONE had thought about Mom dying first and what would happen if it did. Losing a spouse is a big blow. One you never get over. It can feel overwhelming. But good planning can ease some of the stress and give your family a road map to follow. It won’t help with the Friday night date nights, but it will bring you peace of mind and help the survivor who, all alone, is faced with important financial decisions. If your spouse dies, will you live in the same place or move? Suppose you are caring for your spouse who is in poor health. What if you’re no longer around? Where will he get the care he needs? If you handle most of the financial matters, will your spouse be able to take that over, or will she need some help? Where will the survivor get wise advice? Who will be their sounding board? Do you have trusted relationships with your financial advisor and attorney? If your spouse dies, how will your income change? Will your pension or social security go down? We have walked with many families who have planned ahead for their spouse, as well as spouses trying to deal with the current or unexpected loss of a loved one. We know how tough it is. By having a clear picture of the options and the right questions to ask, your plan can protect the surviving spouse and ease the stress after your death. At our free workshop, “Aging With Confidence: 9 Keys to Wise Planning & Peace of Mind” you’ll learn why planning must include both estate planning (death planning) and LIFE planning, along with the 5 life stages to plan for and which stage you’re in, plus clear next steps to guide your planning. Please give us a call at 217-726-9200 with any questions you may have or to RSVP for an upcoming workshop. Join Benefits Coordinator, Melissa Coulter, on the Edwards Group team at the Walk to End Alzheimer’s September 24, 2016 at Springfield’s South Wind Park. As a part of the team at Edwards Group, we help people everyday who have loved ones facing the challenges presented by Alzheimer’s or one of the other 70 forms of dementia. We are all too familiar with this disease and the stress it places on caregivers, family members and loved ones. more than 5 million Americans are living with Alzheimer’s? 1 in 3 seniors die from Alzheimer’s or another related dementia? Alzheimer’s kills more than breast cancer and prostate cancer combined? I have experienced this disease in my own family, and others on our Edwards Group team have been affected by this terrible disease. It is a matter dear to our hearts. This year I chose to volunteer on the Alzheimer’s Association WALK committee to help bring greater awareness to the community. The Alzheimer’s Walk is the largest fundraiser of the year for the Alzheimer’s Association – a group that works tirelessly to eradicate the disease, help those who are touched by it, and increase brain health. I’m sharing this with you because we’d like to welcome you to join our team at the Walk to End Alzheimer’s on September 24, 2016, at Springfield’s South Wind Park. We walk to honor our own family members, but also those clients who currently have a loved one facing this very issue, or are struggling with some form of dementia themselves. We also walk with hope for the future — that our children and grandchildren will not be affected by this debilitating and deadly disease. 1.Find out more. You, your family and friends are welcome to join us at South Wind Park for the New Team Kick-off event July 18 from 4-6 pm. Please RSVP to Tina Arnold via email if you will be joining us. 2. Start your own team. We welcome you to join the effort and help fight this terrible disease by starting a team in honor of a loved one. You can simply sign up here. 3. Join our team! To join the Edwards Group team and walk with us, click this link. Despite the serious cause for the walk, many teams have a really fun time during the walk. I hope you will follow in our footsteps and join us for the Walk to End Alzheimer’s — together working towards a future without this terrible disease. Please call me at 217-726-9200 or email me with any questions. I hope to see you at the walk! What types of trusts are available to me? How can I find and pay for a good nursing home? What can I expect during the estate planning process? Scheduling an appointment or attending a workshop will help you learn more about the legal tools available to you. Your initial meeting with Edwards Group will last about 45 minutes. During that time you’ll talk with David to decide if he can be of any help to you and your family. Please contact Tarina at Tarina@EdwardsGroupLL.com to schedule an appointment today. Caring for an aging loved one is an incredibly difficult job that is often thankless. Virtually everyone will need some help as they age, and most of us will resist that help as long as possible. Combine this with the love and concern that most children feel towards their parents and it can be tricky for everyone involved. In a 2004 study from the State University of New York at Albany, researchers found that aging parents had strong desires for both autonomy and connection with their children. But researchers also found that while aging adults hoped their children would be available to help, they were quite annoyed if children actually stepped in to help. This help was often viewed as “overprotective” by the aging parent. As a way of dealing with their ambivalent feelings, the aging adults often minimized the help they received from their kids, ignored or resisted help, and often withheld information from their children to maintain independence and boundaries. The bottom line? It’s hard to be an aging parent and it’s hard to be the adult child of an aging parent. We see this everyday in our practice, and that is part of the reason we’ve designated part of our team as Elder Care Advisors. While it is one of our greatest pleasure to get to know our clients’ families and help facilitate the aging process, there are resources that can make the process of aging and caregiving a little easier to navigate. Edwards Group’s Elder Care Advisors help families navigate the challenges of aging and the long-term care system serving as guides, encouragers, counselors, resource gatherers, and advocates along the journey. Give us a call at 217-726-9200 to find out more. AARP has a wealth of caregiving resources, including a Caregiving Planning Guide that helps families talk through the goals and needs with their aging loved one. The local Area Agency on Aging provides resources unique to Illinois and the Springfield area. Other websites like AgingCare.com and the Family Caregiver Alliance provide support for caregivers. Feel free to click on the links above for more specifics, and contact us with helpful caregiving resources we may have overlooked. Elder law attorneys work with families to solve problems related to aging. They meet with, and help, clients reach goals related to finances and healthcare. They often collaborate with other professionals such as financial advisors, life insurance professionals and tax professionals to ensure an effective comprehensive plan for clients. In addition to general estate planning, elder law attorneys should have expertise in helping plan for incapacity (due to things like a stroke) or long-term care needs. When it comes to long-term care planning, elder law attorneys coordinate private and public resources to ensure the client’s right to quality care. Founding attorney, David Edwards, explains a little about elder law attorneys in the short video above. How do you choose a good elder law attorney? Because elder law is a specialized field, it is important to ask some specific questions of any elder law attorney you are considering working with. It is important that you feel you can trust the attorney and his/her staff, otherwise you may not end up with effective solutions for your goals. How many Medicaid applications have you processed? Was the firm able to protect assets in most of these cases? Have you ever been turned down for an application? Are you accredited with the VA? As with many government programs, there are fairly strict standards that protect citizens from those looking to take advantage of seniors or Veterans. In order to be involved with a VA application, an attorney must be accredited by the VA. Read more about aging VA benefits here. Have you done VA apps for in-home care, assisted living and nursing home care? Each one is slightly different. Experience matters when it comes to the type of app your family might need. Do you have staff solely focused on helping families with long-term care issues? Helping families apply for public programs to offset the skyrocketing costs of long-term care is a very involved process. It’s probably no surprise that the bureaucracy of the process can be overwhelming (and tricky) for those who are not experienced with it. Mistakes during the process are very costly – emotionally and financially. Does the firm have free information to help families get started? This is a big decision. Like we said above, you must be sure you can trust the attorney you choose to work with. Taking advantage of free educational materials is a great way to get to know the attorney. It’s also important to get to know his staff along with the general feel and philosophy of the firm. Not every family is a good fit for every attorney. It is a very personal decision. http://edwardsgroupllc.com/wp-content/uploads/2016/04/Medicaid-Planning-web-copy.jpeg 800 1200 edwardsadmin http://edwardsgroupllc.com/wp-content/uploads/2014/02/USE-Logo-estate-planning-280x100.png edwardsadmin2016-05-03 14:55:122018-09-07 19:19:06(Video) What is an elder law attorney? 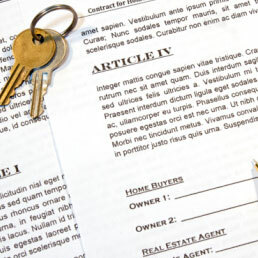 So, what are life estates or life estate deeds? But life estate deeds do not always work as advertised. We recently had a situation here at the office that is a good example of why life estates are generally not a good option. Mom had put her house into a life estate a while back. She was now in a situation where she needed more care and was going to a nursing home. The family wanted to sell the house, but if they sold the house, then a percentage of the house would be considered an asset for the purposes of Medicaid. Even with good legal planning, some of the funds would have to be spent on nursing home costs, and the ultimate goal of planning is to protect your hard-earned money and assets (like your house) that you hoped could be a legacy for your family someday. 1. They don’t protect ALL the value. People are surprised by how much of the value of their house or property is still considered theirs if they need Medicaid. This is all governed by a Medicaid table. (See it here.) So, what are the exact problems with life estates and why don’t life estate deeds “work”? Here’s how the Medicaid table works: if someone is 65-years-old, Medicaid says that almost 68% of the house is still considered yours. At age 70, 60.5% is yours. At age 80, 43.66% of the value of the house still counts as yours. So what does this mean? It means that if you are 70-years-old, have a stroke and need to go to a nursing home, when your house is sold then 60.5% of the house sale money stays in your name and is exposed to long term care costs. This is true even if it has been more than 5 years since the deed was done. 2. You don’t own or fully control your house or property anymore. If something unexpected happens and you “need” to sell the property, you can’t without getting the kids to sign off on it, because they actually own the property. You don’t own it anymore (even though you have the right to use it for the rest of your life). 3. You can’t change who gets it after you are gone. With a deed, it’s a done deal. The house goes to your kids at your death — no matter what. There is no way to change it. So, if your child dies before you do, you can’t reconsider who the house or property goes to. It will go through his or her estate and be completely out of your control (even though you have the right to use it for the rest of your life). 4. Life estate deeds could prevent you from getting VA benefits. The VA sees things differently and assumes that any income interest or life estate you might have are entirely yours (and therefore counted as an asset). 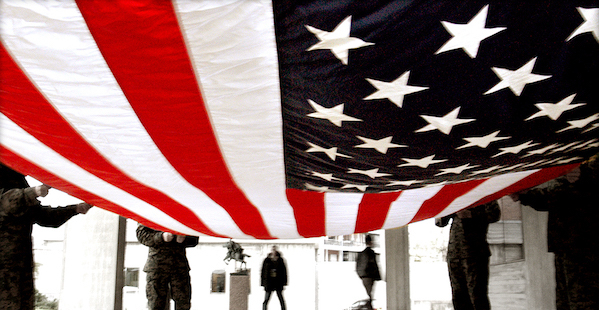 Depending on the situation, this could cause you to be denied VA benefits. For instance, farmland with a life estate would typically prevent VA benefits without further planning. • They can protect 100% of the value once 5 years has passed. • You can be the trustee of the trust where your farm or home is kept, which means you can sell the property, buy a different house if you want, etc. • You can reserve a rewrite power (called a “power of appointment”) so you can change who gets it at death. That way, if circumstances change, you can respond to them appropriately. • A trust can be set up to allow VA benefits or be adjusted later to qualify for VA benefits. Trusts are one of the best tools that we have in our legal toolbox to help clients, and our firm is one of the best at setting them up. If you are considering a life estate deed, please give us a call first to see if there are better options available for your unique situation. Download the Life Estate Deeds Case Study for quick reference and to share with others. As always, if you have any questions or concerns about estate planning or elder law, Medicaid planning, long-term care planning or Veterans benefits, please give us a call at 217-726-9200. We’d be more than happy to speak with you! Many people are afraid of hospice. This fear comes from a misunderstanding of the services hospice can provide. Last week we talked about the basics of hospice and why it is one the most positive ways to approach the end of life. This week we tackle some of the big misconceptions about hospice. 1) Doesn’t saying “yes” to hospice mean you’re “giving up”? No, hospice does not require that you give up hope. Yet, many people see it that way. Hospice is a way to deal with the transition of death on your own terms, generally in your own home. Most people arrive at hospice too late, making the process harder, not easier, on their family. 2) Won’t my doctor know when it’s time and recommend hospice? Not necessarily. Doctors are trained to heal. They don’t want to “give up” either. Because of that, it’s important to understand what hospice is, and how it can help, if you or a loved one has a terminal illness or advanced disease. Again, most people get hospice care too late, which robs them and their family of quality time together in their last days/months. 3) Will hospice provide 24/7 continuous care? No, you need to have a dedicated caregiver. In the beginning, you will receive more visits from hospice staff, then it will drop off a bit. Towards the end, the visits will pick up again, but hospice is not around-the-clock nursing care. If you or your loved one needs that, and your family cannot arrange for a dedicated caregiver, then you need to consider other options. 4) Do I have to use my hospital’s hospice program? No, you have a choice about what hospice to use.​ You do not have to use the hospital’s service. Again, it’s important to plan ahead if at all possible. Some hospices are better than others. This is not a decision you should make without doing some research. 5) Aren’t all hospices non-profit organizations derived from a religious affiliation? 75% of hospices in the US are now for-profit organizations, according to a Washington Post article from 2014. This is not necessarily a bad thing, but it does mean consumers have to be careful when choosing which agency to use. The hospice industry has much less oversight than nursing homes or other healthcare providers, which places the burden of oversight on families who are already in a very stressful situation. Most people, if given the choice, would rather die peacefully at home instead of experiencing a series of acute hospital stays or ER visits for the last few months of their life. Yet that’s what many people inadvertently do because they don’t understand hospice. Hospice gives patients and families great comfort in a time of great stress. It shouldn’t be done at the last minute when it is too late to provide meaningful moments between the patient and family. Good hospice care can help facilitate the tension of such a big transition while making more meaningful moments possible. Because of the spiritual care and social workers, hospice is an amazing support system for those dealing with the hardest, and ultimate, transition in life. As always, if you have any questions or concerns about estate planning, elder law, Medicaid planning, long-term care planning, Veterans benefits or end-of-life documents, please give us a call at 217-726-9200. We are more than happy to speak with you! At Edwards Group we believe that education is foundational to navigating the issues of aging with as little stress as possible. And with all the misinformation out there about hospice, we thought it would be good to do an article on the topic. Elisa Cottrell, a former hospital chaplain who handles our marketing and communications, sat down with Kathleen Sgro, founder of Alterna-Care Home Health (and former oncology nurse), and Joseph Sgro, Chief Development Officer for Alterna-Care, to talk about hospice. What is it? Who needs it? And why is it such a powerfully positive experience when done well? Hospice is a type of comprehensive and compassionate care for someone facing an advanced or terminal illness. Hospice care addresses the physical, emotional, social and spiritual needs of the patient, while also helping the family with their emotional and spiritual needs. Hospices employ nurses, social workers and chaplains to meet these needs. Primarily, hospice is a home health benefit. This means that patients get to stay in the comfort and familiarity of their own home while they receive hospice services. The nurses, chaplains and social workers come to you and your family. In addition, if your disease is causing great pain, hospice nurses are experts in managing pain. They also have a much better outcome than nurses who have not been trained in hospice care. Generally, if you have been given a prognosis of 6 months to live, then you will qualify for hospice. This DOES NOT mean that you are giving up or that you will get “kicked out” after 6 months. You can receive hospice services for as long as you are declining. It is a coordinated effort between all of your medical team to determine if you still need hospice. Sometimes people get better and get discharged. While you receive hospice though, you may not go to the ER. Hospice is about quality of life and making life as good as it can be while you have an advanced disease. Why should you use hospice? In addition to effective pain management, there are other very good reasons why hospice needs to be viewed as a good thing and not something negative. Going in and out of the hospital trying to get acute care, which is only going to cause more stress and pain in the short run, is not a good way to spend the end of life. Most people, if given the choice, would rather die peacefully at home instead of experiencing a series of acute hospital stays or ER visits for the last few months of their life. Yet, that’s what many people inadvertently do because they don’t understand hospice. Hospice gives patients and families great comfort in a time of great stress. It shouldn’t be done at the last minute when it is too late to provide meaningful moments between the patient and family. During our conversation, Joe Sgro said he “routinely argues that oftentimes hospice is more for the family than the patient.” It gives everybody the time and space to do what needs to be done relationally at the end of life, and that is so very powerful. Frequently, the patient will be ready to stop “fighting” via active treatments of their disease, but the family isn’t ready for that. 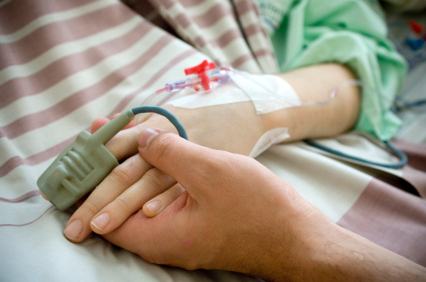 Hospice can help facilitate that tension and make more meaningful moments possible. Because of the spiritual care and the social workers, hospice is an amazing support system for those dealing with the hardest, and ultimate, transition in life. Should I wait until my doctor recommends hospice? Doctors are trained to save lives, and because of that they have a hard time telling patients that it’s time for hospice. According to Joe Sgro, “Doctors are trained to heal. They don’t want to ‘give up’ either,” which is why it is so important to fight the misconception that hospice is “giving up.” Hospice gives people a sense of dignity, and it gives families meaningful time with their loved ones – time that can make the end of the life transition easier and less traumatic. And that’s one of the most important things hospice can do. In addition to walking families through the stages of grief and helping them to understand the process better, Kathy Sgro feels that the most important thing Alterna-Care can do is to get the family and patient to the peace stage. This is the truly revolutionary part of hospice that most can’t understand unless they’ve been through it before. For more on end of life issues, read our article, Approaching End of Life Issues With Forethought here, or check out our post, 5 Misconceptions About Hospice. Threats to Medicaid: Can You Prove It? When someone applies for Medicaid, the state looks back 5 years to see if any money was given away to the family. If so, the state imposes a penalty, or a delay of benefits. Sometimes money was clearly given to the family. Other times, it was used for the loved one, but the family can’t prove it. Check out the case below for a specific example. Betty Jensen was aging and suffering from dementia. She remained in her own home, but started needing more and more assistance to stay there. In May of 2011, her grandson (Jason) acted on her behalf and hired someone to be Ms. Jensen’s caregiver. When he hired the caregiver, Jason did so informally without a written contract. For nearly a year, Jason paid the caregiver using almost $19,000 worth of Ms. Jensen’s assets. In March of 2012, Ms. Jensen’s dementia progressed to the point where she had to enter a nursing home. In April of 2012, Jason applied for Medicaid benefits to help offset the cost of his grandmother’s care. While she was found eligible for benefits, the Department of Human Services (DHS) penalized her for “divesting” funds. They classified the payments to the caregiver (along with some other “gifts”) as “divestments.” That meant her Medicaid benefits were delayed for 7 months and 2 days. Her grandson appealed the ruling and lost, because the payments were made to the caregiver without a written agreement that should have been put into place before care began. The case was appealed several more times with varying results, but ultimately the courts sided with DHS, stating that an agreement with a caregiver needs to be written and official. The above case happened in Michigan, but the same thing could have easily happened in Illinois. The problem with paying cash for caregivers or hiring home help without any documentation is that there is no proof where the money went. Any “gifts” can cause a delay in benefits. And if a family member is taking out large amounts of cash or writing checks without documentation, the caseworkers may assume they are gifts. Medicaid is our country’s largest healthcare benefits program, paying 70% of all nursing home bills in the US. One in six Americans are covered by it. The laws governing Medicaid are some of the most complex and confusing laws in existence. They are often nearly impossible to understand without highly experienced legal assistance. Without proper planning and advice, many people unnecessarily jeopardize their future care, their well-being, and the security of their family. Medicaid planning (or what we here like to call Life Care Planning) ideally should be started when you are still able to make sound legal and financial decisions. (Somewhere around the age of 65.) That way you can still have control over what you want and how you want to live. To find out more about how to avoid the crushing costs of long-term care by planning ahead at every stage of life, make plans to attend our upcoming workshop – Aging With Confidence: 9 Keys to Wise Planning & Peace of Mind. Give us a call at 217-726-9200 to sign up today! http://edwardsgroupllc.com/wp-content/uploads/2010/03/photo_12138_20100204.jpg 480 640 edwardsadmin http://edwardsgroupllc.com/wp-content/uploads/2014/02/USE-Logo-estate-planning-280x100.png edwardsadmin2015-12-29 20:45:102018-08-28 16:46:48Threats to Medicaid: Can You Prove It?